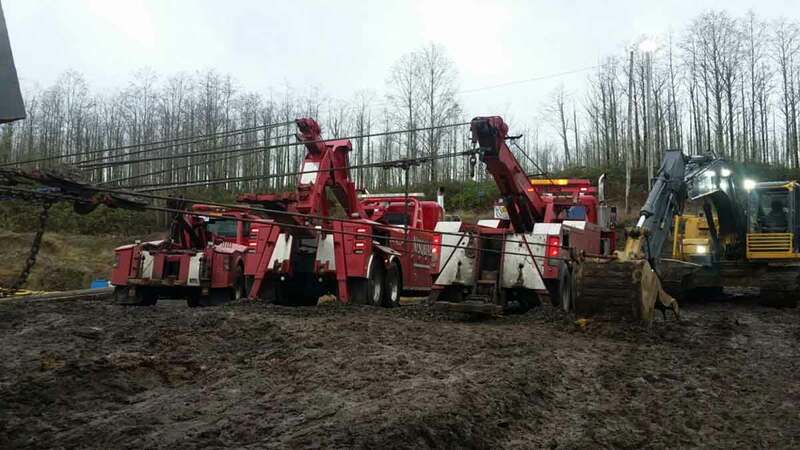 Olympia heavy truck recovery company, Nisqually Automotive & Towing provides 24hr emergency heavy recovery, cargo recovery, accident recovery, semi recovery, load recovery and more. Our fleet of heavy duty wreckers provide services in Olympia, Lacey, Tumwater, greater Thurston County and throughout Southwest Washington. Contact our Heavy Recovery Team at 360-491-HELP (360-491-4357) for professional and affordable Olympia heavy recovery services. The team at Nisqually Automotive & Towing is Wreckmaster certified and trained to get the job done right, the first time. 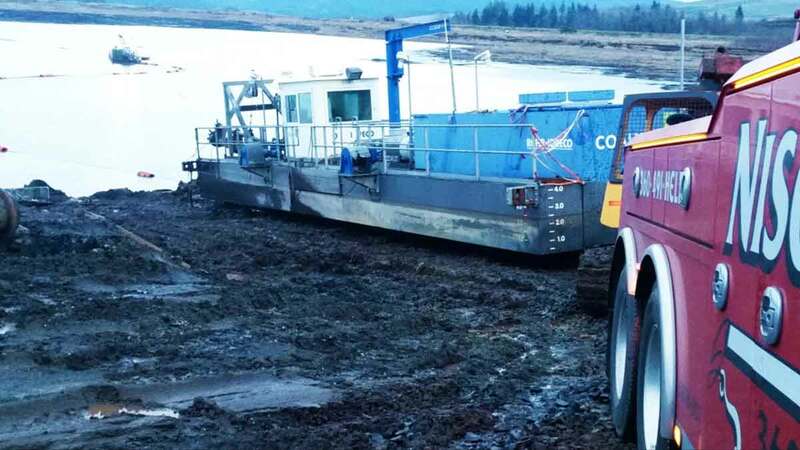 Whether it’s mud recovery, semi up-righting, dump truck recovery, tractor recovery or off-road winching, you can trust the Nisqually Team to provide safe and secure recovery of your asset. Our experience minimizes damage and expedites site time to keep your costs as low as possible. We will make sure the accident scene is cleared and cleaned as quickly as safety allows. Our Olympia and I-5 heavy recovery services include recovery of large semi-tractors, ag tractors, tour buses, coaches, tractor-trailers, RV’s, large fleet trucks, cube vans, single axle semi-tractors, storage units and more. Call 360-491-HELP (360-491-4357) to get the Nisqually Heavy Recovery Team working for you. Nisqually Automotive & Towing provides heavy recovery for construction sites, farms and more. We offer winching, water recovery, dump truck recovery, fork lift recovery, mud extractions, and tractor recovery services for all types of heavy tractors and equipment. If you’re stuck, we can get you out. With a fleet of specialty recovery equipment at our disposal, we offer complete truck, equipment, cargo and tractor recovery services throughout Southwest Washington. Nisqually Automotive & Towing provides 24hr load shift service and load transfer service in Olympia, greater Thurston County and throughout SW Washington. 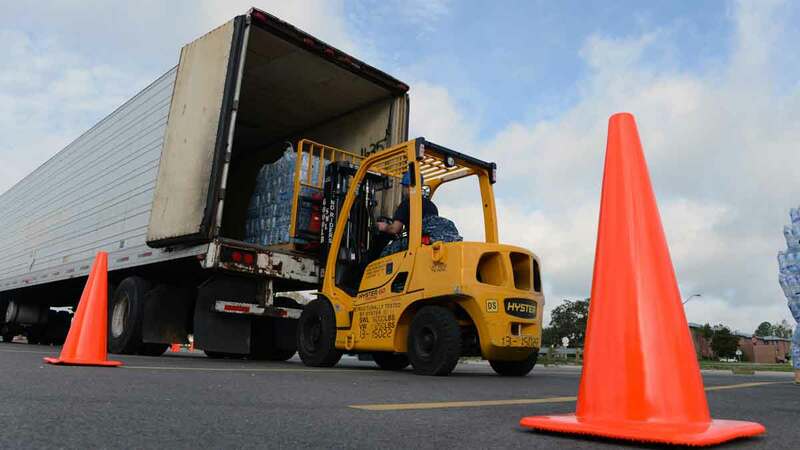 Our fleet includes flatbed trailers, forklifts, and miscellaneous equipment ready to resolve your cargo situation. The Nisqually Team is prepared to shift weight, transfer cargo and offload cargo for our clients. We provide 24hr cargo services for all types of cargo and material. Call 360-491-HELP (360-491-4357) for 24hr load shift services and load transfer services.